LifeCare protects your family and your finances. LifeCare membership covers your entire household* and ensures that you receive the best emergency medical service and transport with NO out-of-pocket expenses – even if you have no insurance. 1. Save your money: LifeCare membership can save thousands of dollars. You shouldn’t have to make life and death decisions based on money. One emergency ambulance ride can cost $1500 or more. A $59 LifeCare membership can save thousands of dollars and covers your entire household* for a year. 2. Protection from out-of-pocket financial exposure: By becoming a LifeCare mem­ber, you are protected from any out-of-pocket expenses – even if you are uninsured. Your annual membership fee prepays any deductibles or other portion of the ambulance charge that may not be covered by insur­ance or Medicare. 3. Supporting your community and the work your provider does: Your LifeCare membership fee goes directly into supporting the emergency ambulance service in our area. It means we can hire highly trained professionals, invest in the best technologies and most importantly…we can save hundreds of lives each year. Your LifeCare membership helps save lives…maybe the life of someone you love. 4. Get quality care: LifeCare membership guarantees high quality care across all levels. We are fully committed to providing the highest quality of emergency medical care and transportation. Our team of experienced EMS professionals works with cities, counties, fire departments, hospitals, and government agencies to ensure that patients receive the best service with the highest level of patient care. 5. Receive excellent treatment: LifeCare membership assures excellent treatment for any emergency situation. 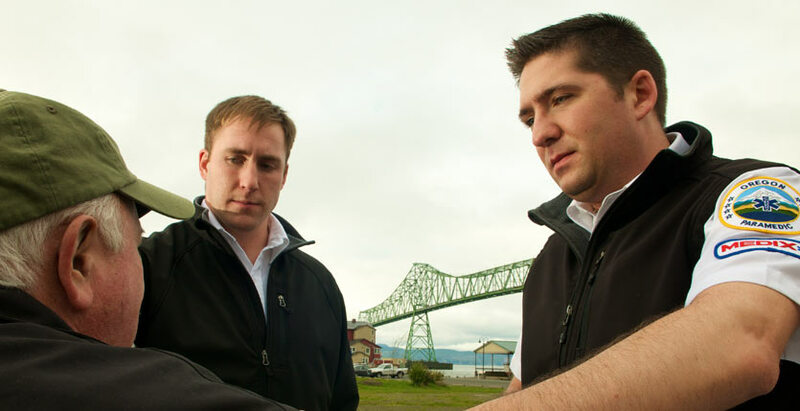 Our EMTs and Paramedics are held to high performance standards, receiving rigorous training and continuing education to meet standards even higher than the requirements of Oregon State EMS laws. Paramedics defibrillate, administer medications, and perform other invasive maneuvers required in emergency situations. 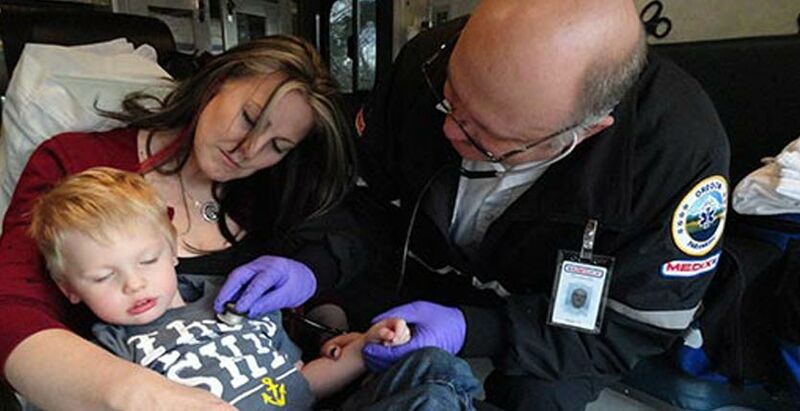 Our Oregon Paramedics are trained in Pediatric Advance Life Supports (PALS), Prehospital Trauma Life Support (PHTLS), Advance Cardiac Life Support (ACLS), and Cardiac Pulmonary Resuscitation for Health Care Providers (CPR) along with specific specialty courses each year. 1. Enrollment offers cost protection: No out-of-pocket expenses, no co-pays, and no deductibles – for any member of your household. * An emergency ambulance ride can cost $1500 or more. Insurance rarely covers the full cost of emergency transportation, even after your deductible is met. LifeCare membership protects your entire household* and provides peace of mind in knowing that your emergency medical transportation costs are covered – even if you are uninsured. 2. Convenience: LifeCare membership means 24/7 coverage in all of Oregon, for all household members. No need to show a membership card or provide a lengthy membership number to obtain service. LifeCare handles all insurance billings and waives costs such as co-payments or deductibles that are not covered by insurance. 3. Savings: LifeCare membership is a great value. LifeCare saves lives and saves money. A single emergency ambulance trip can cost more than $1,500 – almost 26x the annual cost of LifeCare membership for an entire household. * With approximately 1 in 3 households in our service area needing medical ambulance transportation in 2015**, best to play it safe with LifeCare protection. Prehospital, emergency medical treatment and transport. Medically necessary ambulance transport between medical facilities, preauthorized by a physician. Up to two response fees waived. Membership coverage begins 72 hours after the acceptance of your application form with payment. Your coverage continues until June 30 of the current enrollment period. Open enrollment is from May 1st – June 30th every year. There is no deadline to enroll, but open enrollment offers the best value for your coverage period. LifeCare membership includes the enrolled member, plus all persons living in the same household and claimed as dependents on your tax forms. 1) Prehospital, emergency medical treatment and transport. 2) Medically necessary ambulance transport between medical facilities, preauthorized by a physician. 3) Automatic insurance billing service. 4) Up to two response fees waived. Please call (503) 861-5558 for more information membership benefits, how to enroll or to renew your existing membership benefits. LifeCare membership saves lives, saves money, and offers cost protection and convenience. Moreover, membership provides the invaluable benefit of the peace of mind that comes with the security in knowing that you and those you love are safe. In the seconds that count, you can count on LifeCare. Up to two treat & release fees waived per year. Wheelchair transportation or transfer of patient for family convenience. The member is financially responsible for payment of medical services and/or ambulance transportation which is deemed not medically necessary and is denied payment by the member’s insurance/health plan provider. Duration: Membership coverage begins after acceptance of a properly completed application form with payment, and extends to June 30 of the following year. LifeCare Membership benefits are extended to the primary member, his/her spouse or domestic partner and their dependents claimed on their income tax return. Elderly or disabled family members living in the same household are also covered. The first person listed on the application form is designated as the “Primary Member.” Only those persons who meet the membership eligibility requirements AND are listed in the membership record at the time services are rendered are eligible for benefits. Per government regulations, individuals covered by Medicaid are not eligible for membership and should not apply. LifeCare Memberships are not an insurance policy but secondary to insurance carriers. All available insurances will be billed first. We will accept payment from insurance carriers as payment in full. Ground emergent 9-1-1 and inter-facility transports are based on medical need, not membership status. Patients are transported to the closest medically appropriate facility as requested by the physician or EMS system. Non-emergent transports are not covered by this agreement. Renewal payments must be received prior to the expiration date to avoid a lapse in benefits. There is no grace period. I transfer directly to Medix my rights to ground insurance payments due to me for services provided by Medix Ambulance. Such payments shall not exceed Medix regular charges. I specifically waive any and all rights, claims or causes of action against Medix and its employees and agents with respect to my LifeCare Membership Program. The Membership Program may be canceled at any time for any reason, including financial feasibility and governmental regulation of such programs. No refunds will be issued on Membership purchases. Membership benefits are non-transferable. Membership cards are not required in order to obtain service under your membership. You will receive confirmation that your membership has been processed. You will be active in our membership database, assuring that if transported your membership will apply. Your membership cards and material will come separately after enrollment. *All persons living in the same household and claimed as dependents on your tax forms. Medix Ambulance Service has proudly served Oregon’s North Coast since 1975 and has established a proven and long-standing reputation as a dependable and professional health care provider. Our commitment to providing high quality emergency medical care and transportation to our community – as well as an outstanding track record of performance – has earned the goodwill of EMS policy makers, the medical community, and citizens alike. Medix Ambulance Service currently provides advanced life support 9-1-1 ambulance response for all of Clatsop County in Oregon and parts of Pacific County, Washington. 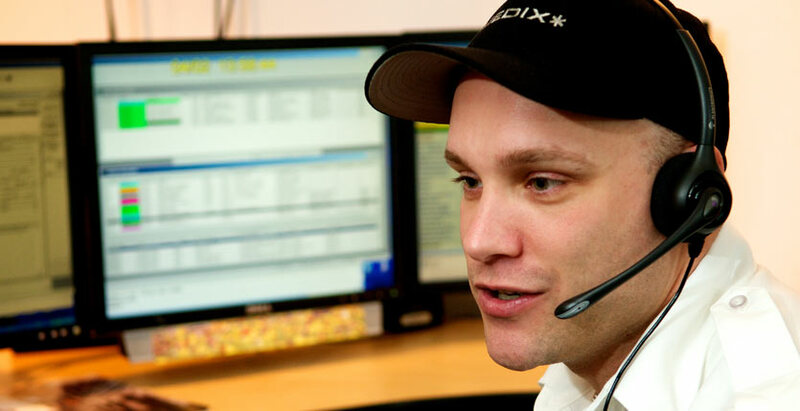 With more than 6,500 ambulance requests for service and approximately 7,000 requests for wheelchair service annually, Medix Ambulance continues to meet or exceed the EMS response time requirements for all service zones we cover. 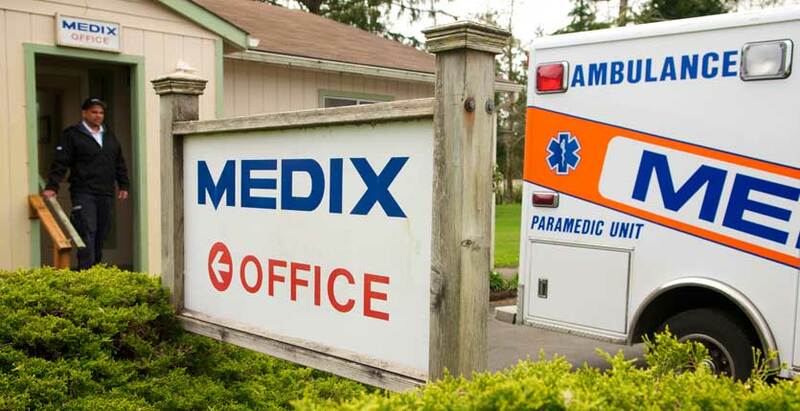 Medix Ambulance Service joined the family of Oregon ambulance companies owned by J.D. Fuiten in 2006. Metro West Ambulance, Inc. is the parent company comprising Bay Cities Ambulance, Pacific West Ambulance, and Medix Ambulance Service. Under the ownership and guidance of J.D. 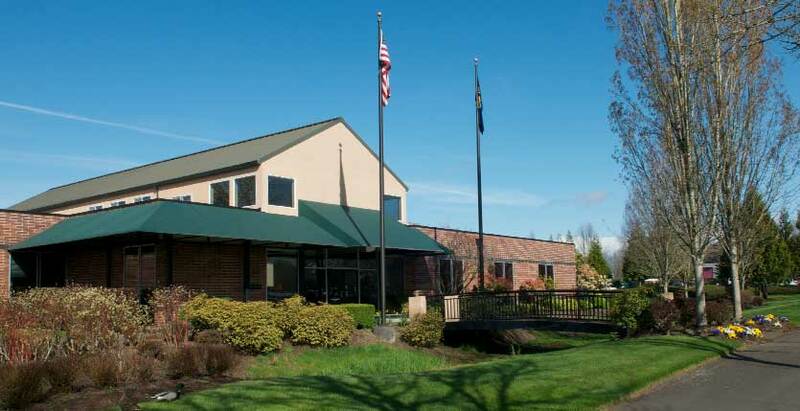 Fuiten, the Metro West family of ambulance services provides high quality advanced life support and medical transportation services in Southwest Washington State and western Oregon from Portland to Astoria, Seaside, Lincoln City, Newport, and Coos Bay. Owned by the Fuiten family since 1953, Metro West Ambulance holds the distinction of being the longest running owner-operated ambulance service in the Pacific Northwest. 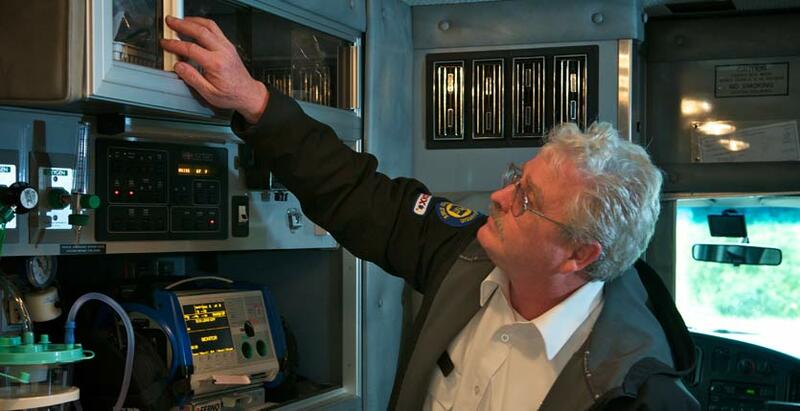 What started as a basic first aid operation in Forest Grove evolved in 1973 to the full spectrum emergency and non-emergent healthcare transportation operation of today, which encompasses over 65,000 annual transports executed by a team of more than 500 employees. Accredited by the Commission on Accreditation of Ambulance Services (CAAS), Metro West companies adhere to strict standards that often exceed those established by state or local regulation. $59 covers an entire year of all necessary emergency transport for you and your household.